Today see Spud go back to school after six weeks off for the school summer holidays, not that we had much sun to call the period summer mind you! If having a nine year old didn't make me feel old, having a child who started year five, sure made me feel old! I remember his first day at nursery, his first day in reception and starting junior school just two years ago, so how has he grown this much already!? Spud had a brilliant day, he come out of school all smiley and happy, pleased to see his mummy, and I too was super pleased to see him. I'm sure I find it more harder then him to be honest, I hate him being away from my side! Spud told me all about his school day and what he had for lunch - cheese and tomato pasta. Although Spud doesn't get free school meals, I still pay for Spud to have a school dinner at his request. I personally would prefer him to have a packed lunch, so I know what he is eating exactly, however because all of his friends are school dinners, he chooses to have them also, so he gets more time to spend with his friends! 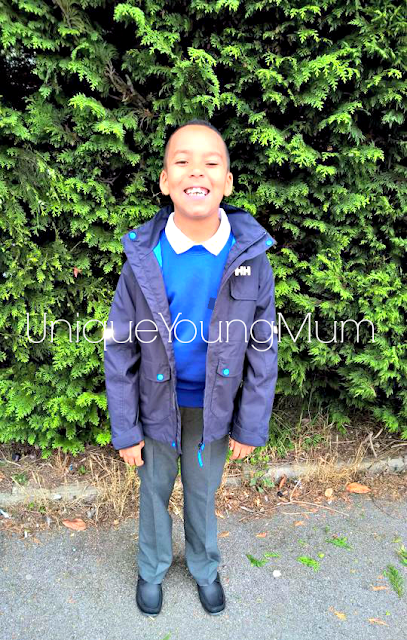 Thinking today would be a bit hectic with Spud going to school and back to a routine after a six week break. I decided a good home and hearty meal was in order, something to enjoy after a busy and hard day back into reality and what better meal was to be cooked then a casserole using Welsh lamb. I often cook with Welsh lamb due to the fact of it being ideal brain food with vitamin B12 and iron content, it's super good for back to school meals! Welsh Lamb - Diced Leg. 1. Place the Welsh Lamb onto a foiled baking tray, cooking it in the oven at 180°C for around 30 minutes. 2. Wash and then chop the potatoes into your desired size. (You can peel the potato skin off if you desire, though we kept ours on). 3. Place the chopped potatoes, and vegetables into a pan of water and boil on high heat for around 20-25 minutes. 4. Drain the potatoes and vegetables using a colander, keeping the water to one side to use later for gravy. 5. 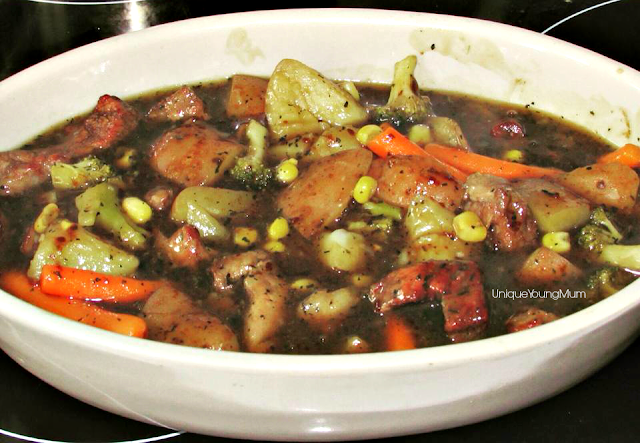 Place the vegetables into a casserole dish. 6. Remove the Welsh Lamb from the oven, and drain the juices, keeping them aside. 7. 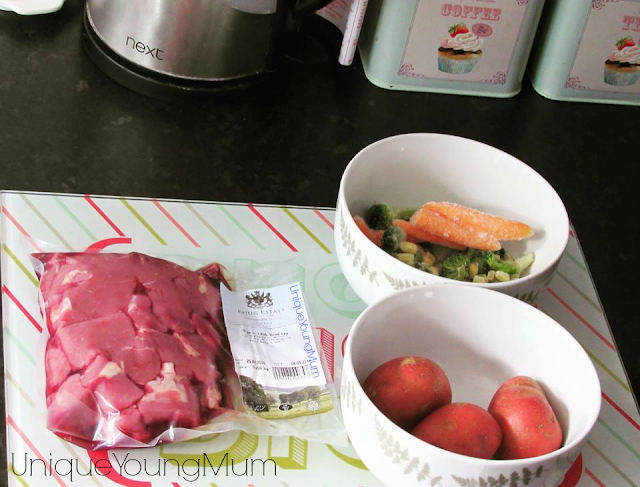 Add the Welsh Lamb into the casserole dish, with the vegetables. 8. Add the juices to the vegetable stock you kept over, and add mint sauce and gravy granules to make your own special gravy. 9. 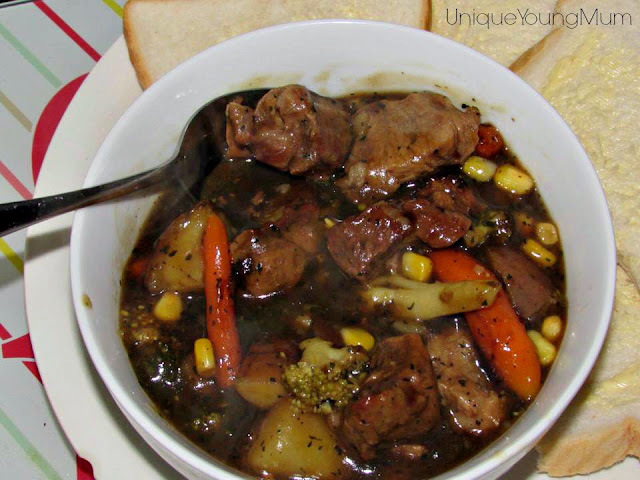 Pour the gravy into the casserole dish along with the vegetables and Welsh Lamb. Give the ingredients a good stir. 10. Place the casserole dish into the oven for 35 minutes, again on 180°C. 11. Remove the casserole dish from the oven, dish up, serve and enjoy! P.S - We had buttered bread with ours! Lean red meat (lamb, beef and pork) can play an important role as part of a balanced diet, and it's one of the ways I like to ensure Spud gets enough of the good stuff. Red meat is one of the best sources of iron, which is needed for healthy blood and to prevent anaemia, it also contains protein needed for growth and repair to keep our bodies in tip top condition, something I like to make sure of with Spud because he was born seven weeks premature. Red meat is also a good course of Zinc, which helps keep our immune system healthy, and Spud wasn't born with the best of immune systems due to him not being quite ready to enter the world! Using red potatoes, frozen vegetables and a packet of diced Welsh Lamb leg, in just under 90 minutes, I, or should I say Gareth because he done most of the cooking, was able to make a beautiful dish full of iron and all round goodness for Spud and the the pair of us! What do you like to cook for your school aged children? Do you have any tips or recipes we could try to find more ways to use red meat?